Regent Scanbrit is the school where I studied English with Lorna, my teacher. The people who work here are very friendly and fun. Bournemouth is large town in the south of England next to the sea. It has a lot of restaurants and shops. Scanbrit is situated in Southbourne, 5minutes from the beach. Southbourne is a neighbouring town, it is a little bit smaller than Bournemouth. I studied grammar with video and texts and conjugation of different tenses. We had a lot of oral practice and different activities like studying a song (The Beatles). We revised with a game called “Kahoots”. I had a project, I had to create a music band, biography, album cover, World Tour poster and to finish this project Lorna interviewed me about the band. My Host family was welcoming and very friendly with me. We did fun activities together, we ran on the beach in the evening. Maybe the family was a little bit noisy and busy but it’s very cool to see and live with a family like that. When I go back home I will keep a notebook to write the different grammar, conjugation and vocabulary. I will practise my English with movies in the original version, listen to English music and speak English when I can. I would like to be able to come back here and visit the town and learn more English. This is the end of my time in this most beautiful school. It was one of the best and unforgettable vacations in my life! I will not stop thanking fate for making my life more beautiful, brighter and more interesting! When I arrived, I was very afraid of my mistakes in speech, in my grammar, etc. It turns out that this fear was simply not needed for me, because we are children, we understand each other from a half-word (even if they say nonsense) and this is so cool. I am very happy that I was able to jump out of the familiar framework (thanks to Mom), to which I have become so accustomed .... It is very interesting to make new discoveries for yourself, because you are completely in another country that seems to you to be something special , because you feel the differences that are present between the countries. Sometimes it seemed to me that I was Alice, who was in a mysterious country. Thanks to the teachers who taught me and tried to make my trip memorable and safe. 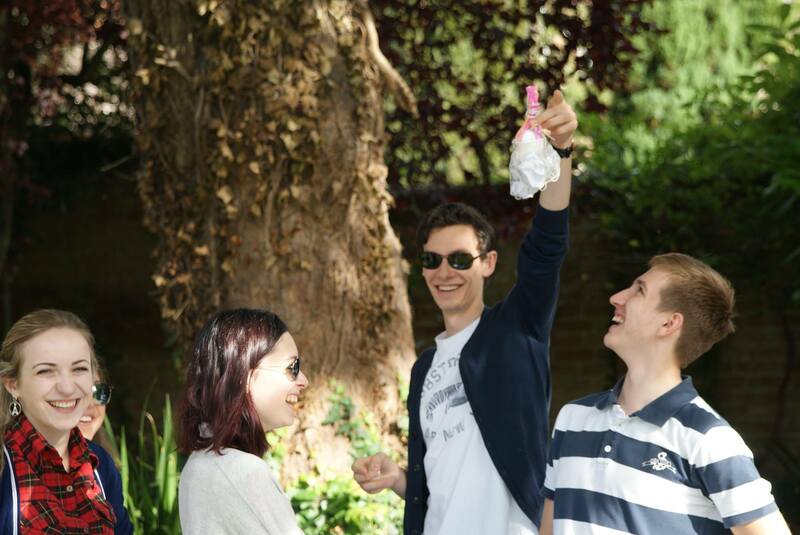 And of course my friends who could partially acquaint me with their languages and countries! My “Regent journey” started with a Google search for IELTS preparation courses in London. The reviews of Regent were fairly high and I decided to apply for it. Initially, I thought that I was applying for an IELTS preparation course only. However, my thoughts completely changed after the first hours of my very first day. It was not just a course; it was a “school” actually. And after a couple of days I realized that it was not just a “school”, it was a kind of “cultural explosion”. From a linguistic point of view it was completely the right place to go. In addition to linguistic part, culturally, historically and socially it was a great experience for me as well. The teachers were amazing. They were so dedicated to their job. They improved my English a lot for sure. Moreover, they taught me a lot about history, literature, music, arts, communication skills and social life in the UK. I am not the same person who I was before applying to Regent. Regent is a legendary school. And it deserves all its reputation. I am so proud of being a part of this legend. My name is Ahmad and I'm a former student at Regent Cambridge, a school that I consider one of the best things that has happened in my life. I'm now going to tell you about my experience in this school. First of all, learning English is not a secondary thing in life. You really need it if you want to go to university, or to complete your studies or to get a job or even, if you want to deal with people from other countries, because it’s the best way to understand each other. As for me, before I came here I wasn’t able to speak or have a conversation easily, neither was I able to understand what people were saying when they spoke in English. Regent helped me to get through these obstacles by improving my English. As a result I took the IELTS exam I got 6.5, which was great for me as I’ve been accepted at university starting in September. 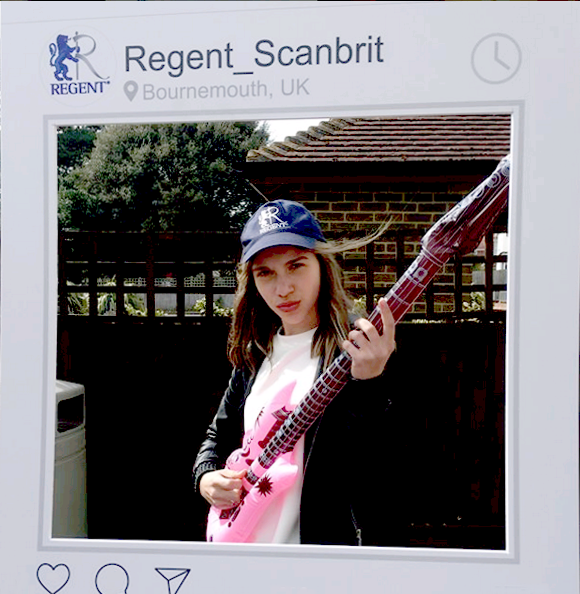 I think that life at university will be much easier for me and that’s because of the experience I’ve had here at Regent. Actually in Regent you don’t only learn English but also valuable life skills, like giving a presentation so when you stand in front of people you know how to talk to them without hesitation or being nervous. Also, there is another reason why Regent is unique, and it’s studying with people from different countries, different cultures, and that is really important because you understand their cultures and you make a lot of friends. Another thing I want to mention is the environment: the staff and the teachers are so helpful and you notice that from the first day you come here, which is what happened to me. I thought it would be weird and difficult to catchup in this environment, but actually it was so easy and it didn't take lot of time. the amazing school so, like me, you can take an important step in your life. For many years, I have known that I wanted to take a gap year after secondary school learning languages. Since English is not only one of the most important languages in business and science throughout the world but also one to which I have become increasingly attached during many holidays in the United Kingdom, I decided to spend the first 3 months of my gap year in England. Furthermore, a somewhat secret wish of mine has been studying for an undergraduate degree in this fascinating country, more precisely at the University of Oxford. It was indeed a mere coincidence that the language school I was highly recommended by a Swiss travel agency, Regent Oxford, was situated in this very city. For me this was a perfect combination offering not only an outstanding school but also a very impressive and inspiring environment. 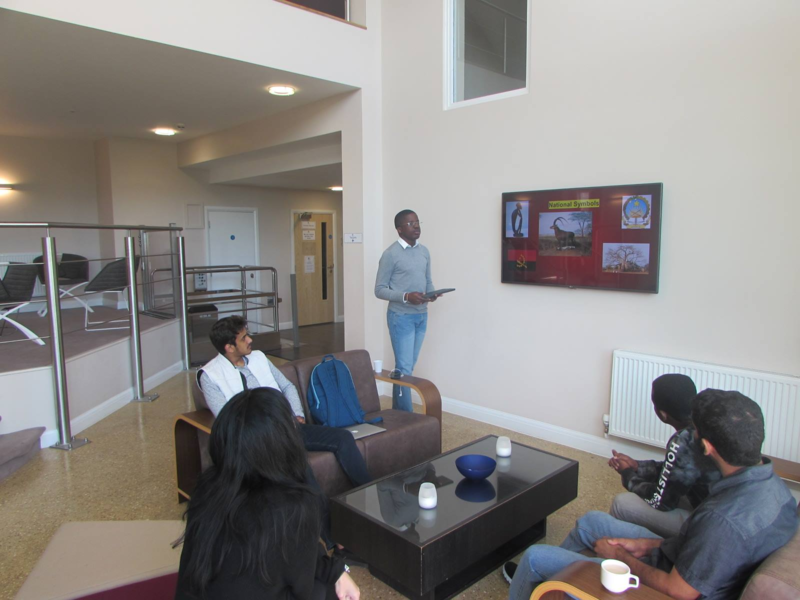 Regent Oxford has proven to be a perfect school to study for language exams, such as IELTS, as well as just to improve one’s language skills due to the brilliant and very helpful teachers. But in fact, it is much more than that! 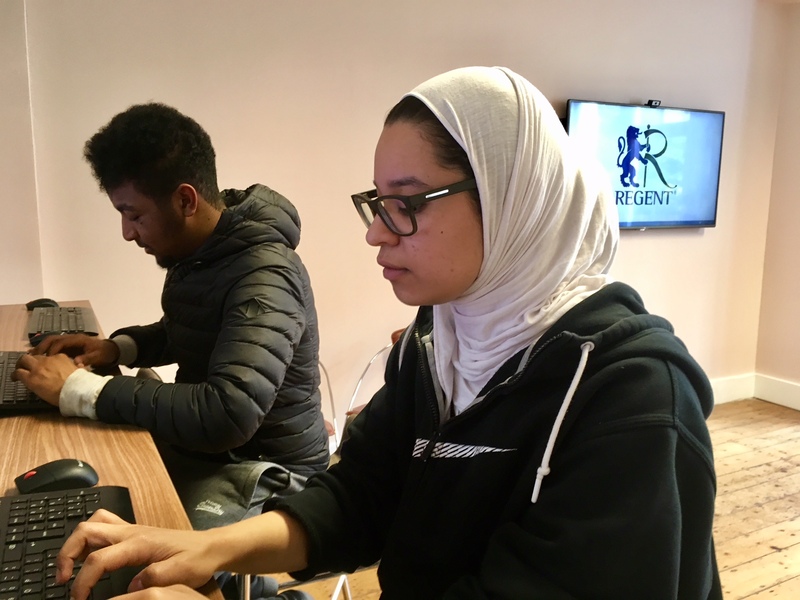 Regent aims at immersing its students into the English language and culture by organising a variety of different events and, what I find exceptional, by promoting a sense of being one big family. This is hugely due to the possibility of getting to talk to other students and teachers whilst sipping tea or eating biscuits during the breaks, a perfect chance to get to know other cultures. Meanwhile, one also learns much during the matutinal plenaries held by students and teachers about whichever subject they choose whether that be about the history of their home country or the explanation of a specific filming technique. All in all, Regent has massively contributed to a wonderful experience which has shown me so many interesting facets of humanity as well as to my mental and linguistic readiness to study for a degree in English. Being here has taught me a different way to see life. I thought that I wouldn't learn anything apart from English but I was wrong. Here at Regent I learnt how to be part of a community , how to get involved away from my comfort zone, how to behave, how to lead and understand other people. Thanks to Regent I am leaving England a changed person. Regent has improved my English skills as well as other skills such as pronunciation, debating, giving presentations and in many other ways. I will never forget the amazing experience that I had here at Regent Cambridge, with its lovely staff. I hope that every student can "drink" from the same sea of experience I've had. I recently decided to learn English because the English language is the most important language in the world, particularly in business and science. When I first arrived, I spent three months at another language school in Brighton before joining Regent. Comparing these two language schools, I like Regent more due to the fact that I feel more comfortable here. The teachers here are friendly and all the staff help you with everything, even things which are not related to the school. In addition, there is a room where we socialise and have some tea and coffee, which they offer for free. What I like most is that I can see my improvement because of the exam that we take every month. These things make me feel confident in my English level and help me adapt to living here. 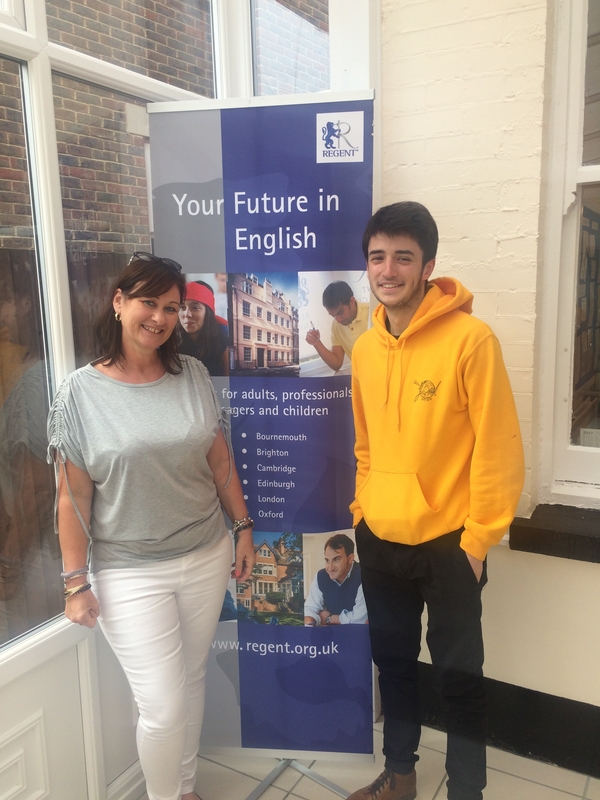 To my mind, Regent is one of the best English schools in Brighton, so I really recommend that you join this school if you want to learn English in the UK.